#1: Anonymous vs. the Zetas. Over the last year, the hacker collective Anonymous has gone after a wide range of targets – the Sony Corporation, the CIA (the U.S. intelligence agency), and Barney the Dinosaur to name a few. But now, they’re facing a very different adversary: Mexico’s vicious Zetas drug cartel. In several videos posted online, presumed members of Anonymous threaten the Zeta cartel with revealing the names and addresses of their top supporters, including journalists and police members, unless the Zetas release a member of the hacker group allegedly kidnapped. “You have made a great mistake taking one of us. Free him,” warns one masked messenger. There are no confirmed details of the kidnapping, or little else about this story; which is no surprise, considering it pits a lawless “hacktivist” community against a powerful drug mob. One Anonymous spokesperson says the kidnapping happened in October in the Mexican city of Veracruz. In fact, that region is the power base of the illegal drug ring known as “Los Zetas.” The U.S. Drug Enforcement Agency labels the Zetas as the most violent drug cartel and paramilitary operating in Mexico, and in the past the Zetas have kidnapped, tortured and killed several journalists and online activists working to expose the cartel’s activities. On the other side, it’s presumed parts of the Anonymous collective are working in Mexico and may have information on the cartel’s supporters, but because of the hidden and highly decentralized nature of the group, it’s hard to know for sure. It’s also not unusual for online activists to do battle with the drug cartels. “El Blog Del Narco” was one of the first, and still among the most popular, documenting the comings and goings of members and supporters of the Sinaloa drug cartel, a rival smuggling operation to the Zetas. And the cartels have violently struck back, recently hanging and mutilating several online activists from a bridge with signs warning that “this is going to happen to all of those posting funny things on the Internet.” The drug lords do not fool around. 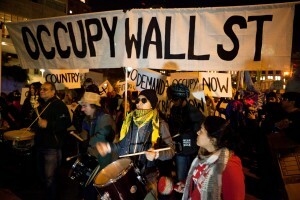 #2: Taking the “Occupy” Protests Online. There are currently dozens of real-life protests in the real world streets of many major cities: New York, London, Toronto, Tokyo, and many others. 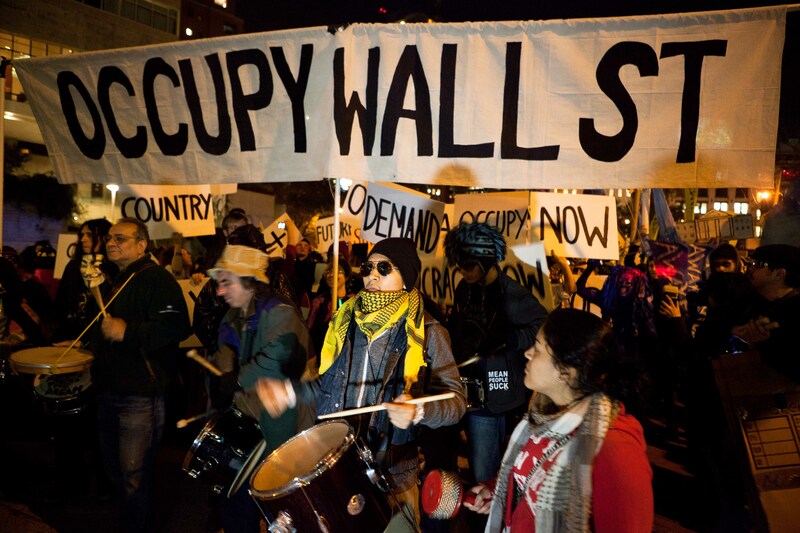 Beginning in New York a few months back, “Occupy Wall Street” (OWS) protesters cite inspiration in part from the massive rallies of the Arab Spring earlier this year. While no governments have yet toppled, the protest encampments quickly grew and spread, generating lots of media coverage but little else so far. 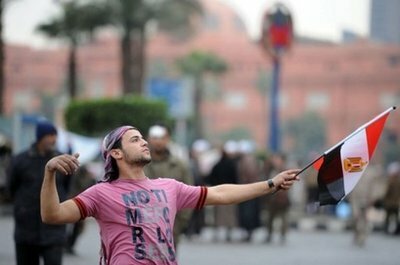 And now, again like the rallies in Cairo and Bahrain, protest supporters are working to document the movement online. The head of MIT’s Center for Civic Media, Ethan Zuckerman, writes of a new joint project between the People’s Production House, or PPH, and NewsMotion.org to bring civic journalism to the protest tent cities. Many of the protests, including OWS, already have their own websites, and there are thousands of videos posted online by individuals taping events; perhaps most memorably when protester and Iraq war veteran Scott Olsen was seriously injured in a confrontation with police in Oakland, California. Basta! is not yet online, but you can view some of the coverage PPH has been assembling at their website. #3: “Open Intern@t” For years, the German artist Aram Bartholl has made the web – and our interaction with it – a major theme of his work. In “Dead Drops,” he embedded real, working flashdrives in buildings and public spaces, allowing daring passersby to upload or download documents. For “WoW,” he constructed enormous signs bearing the names of volunteers, who agreed to walk through major cities with someone else holding the sign above them, much as players do in the online game World of Warcraft (or WoW). 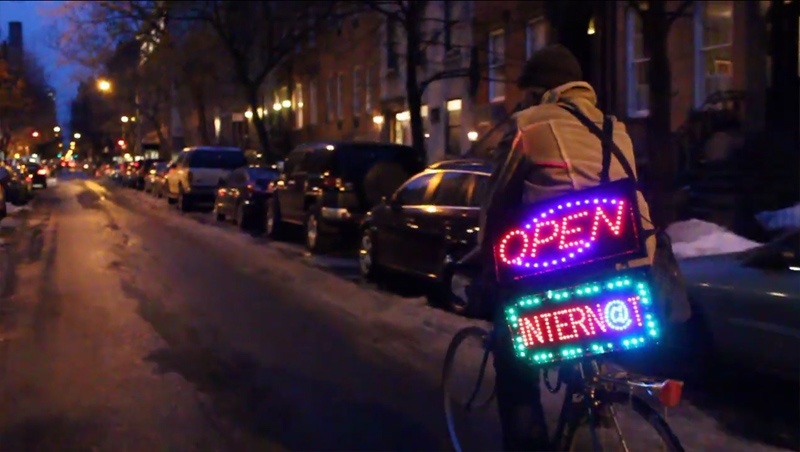 Now in “Open Intern@t,” he’s carrying around those ubiquitous LED “OPEN” and “INTERN@T” signs seen hanging in shops around the world. And his signs don’t lie: he also carries a mobile 3G hotspot around with him, allowing people on the street near him to log onto the Internet for free. However, this is art…or a “public intervention,” in his words. So part of the deal is that Bartholl keeps moving, forcing people either to follow around close to him or get pushed off the web. As art goes, we’re not so sure. But we’re considering buying his “work” and taking it on trips with us. When in doubt, just stare at the clouds and keep your mouth shut. It’s earlier this afternoon; I’m sitting in the BWI airport, killing a few hours before boarding a flight to Portland, Maine, and the 16th annual PopTech conference. 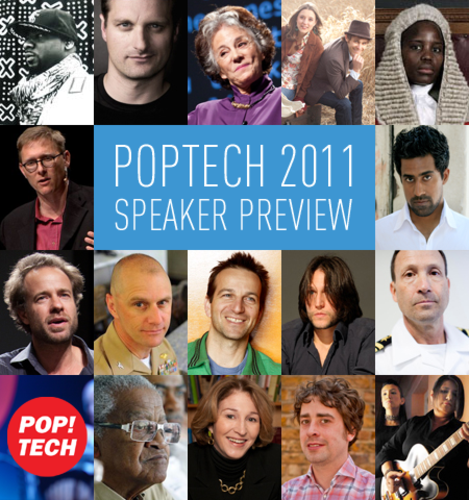 PopTech is a yearly gathering of techno-savants and Internet evangelists who meet in the seaside village of Camden – a town on the lip of the ocean and the forest. As suits its Warhol-esque name, PopTech (technically “Pop!Tech”, but we’re not so exclamatory) is hipper than hip. “It’s like a TED mash-up” one attendee told me over airport pizza, referencing both the mega-popular “Technology, Entertainment, Design” – or TED – gatherings and the social media ‘mash’ phenomena in just five words. I’m not sure what she means, but I nod. And that’s not far from the mark. 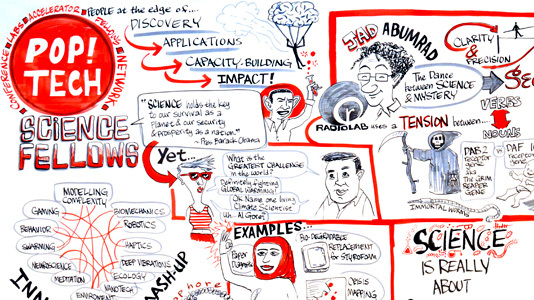 Every year PopTech attracts a wealth of talented thinkers, each one of them pushing for some new new NEW idea of how technology will transform human societies. And everyone – everyone – is doing so on several platforms at once. They talk and they tweet, they TwitPic and Ustream and Tumbler, they Storify and Ushahidi and who knows what else; all simultaneously. Everyone here is a giant, glowing Internet hot-spot. Which makes it all the odder, as all of this techno-clatter is happening at what feels like the edge of the woods and the fringe of the Internet. Let me back up. Although I cover the web and culture for a living – and enjoy it immensely – I’m a bit of a skeptic. I hear pronouncements of how the Internet will fundamentally transform human culture, but also see how it exposes our frailties. I talk with people who see an electro-future ahead, but listen to our own correspondents reporting from places far removed even from regular electricity. Daily I see people punching furiously at their smart phones…and intentionally I won”t buy one, because I don’t want to stop seeing the people right in front of me. Which brings the story back to the airport. Pizza gone, I have no option but to wait to board, and talk up some of the other attendees. My computer is packed away, my dumb phone isn’t getting good signal, and I’m – for the moment – cut off from the Web. I can’t read the latest headlines of Gadhafi’s death. I can’t check my email to read frantic notes from my colleagues. I can’t tweet, I can’t watch, I can’t distract myself; I can’t do anything but finish the crossword in the local paper. All this while chatting up another PopTech visitor. I am, I think, a fraud. Perhaps not. The pleasant young woman I’m speaking with is eager to share her ideas about the future, and how the Internet will shape it. She asks me a question or two about the latest news; I shrug and, failing a clever answer, stare out the window at the clouds. She waits a beat or two, and then begins thinking aloud of how the web might shape the next revolution somewhere else in the world. Interesting stuff. And I might never have heard her thoughts if I had a smart phone handy, ready to regurgitate what was already floating around on the web before hearing her thoughts. So, here in Camden, people are gathering to talk about the Internet. In a place so remote that Internet access is a valuable thing. And I can’t help but think about what would happen tomorrow if, suddenly, everyone at PopTech lost access to the web. What would we say? And how long before we just looked out the window, stared at the clouds, and listened to each other? Camden, Maine, might best be described as one of those places that’s nowhere in particular. A long way from just about everywhere, it’s situated at the lip of Sherman Cove, at the edge of West Penobscot Bay, which hangs over Maine’s Atlantic coast. The sort of place that just begs a rocky New Englander to caution in dialect, “yeh cahn’t get theyar from heyar” – you can’t get there from here. Yet unlike much of the news coming from Washington D.C. or London or Rome (or you name it) lately, “rebalancing” is meant to refer to something much more positive. Namely, the myriad ways emerging technologies are being employed to actually make the world a better place. Now, admittedly, there are dozens – or more – of these sorts of events every year. Many are much better funded (the Davos World Economic Forum), more highly attended (the Aspen Ideas Festival) or earn lots more public notice (the many TED events, for example). 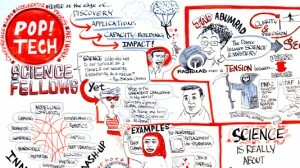 What PopTech lacks in those things, it more than makes up in enthusiasm. Unlike its other tech-idea-conference brethren, PopTech is less formal speechifying and more college bull session; less shiny new toys, and more making more of what you have, technologically speaking. Consider, as an example, Palestinian students Asil Abulil, Nour Al-Arda, and Asil Shaar and their teacher Jameela Khaled. Occupants of a refugee camp in the West Bank, these three young women wanted to help a blind friend navigate the small streets and paths of Nablus on her own, without fear. With next to no tools or resources, Khaled’s students – using old mobile phones, used electronics and anything else they could scrounge, constructed a cane that alerts its user about oncoming hazards through a series of beeps, buzzes and vibrations. Better yet, the cane proved particularly effective in detecting holes, stairs and other pathway problems common in the developing West Bank. For next to nothing, they created a tool that allows the blind to find their way in any direction without fear of injury. It’s examples of technological transformation like this that PopTech features during its four-day conference. In fact, conference organizers prefer to call the event “a laboratory,” meaning that unlikely people coming together in new ways can yield surprising results. Musicians, neural biology researchers, pathologists, writers, even a pirate or two are among the participants this year. And whether one has a speaking slot or not, PopTech organizers suggest that everyone attending come ready to contribute – not just to listen, but to add to the conversation. This year myself and a colleague from Radio Free Asia, Katherine Zhang, will be lucky enough to attend, leaving us both with the question: what would you have us contribute? PopTech is very much a crowd sourced event, so in that spirit, we want to hear from you about what you think is important, and what kinds of technological innovation would help your community. You can leave your ideas here as a response, or send them directly to dbjohnson@voanews.com. Either way, we look forward to hearing from you and taking your ideas to tiny Camden, Maine. Digital Frontiers editor Doug Bernard is away from his screen this week. In his absence, we invite you to follow some of the following DF-related items. Malware is certainly making its way to portable devices, and in particular, the Android platform is under attack. 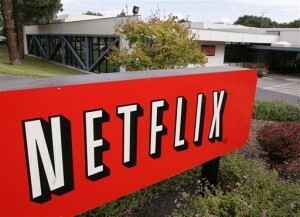 A fake application is sneaking onto Android devices, with what is purported to be an app from the U.S.-based home movie delivery company, Netflix. The phony Netflix app looks very much like the real Netflix program, but instead of delivering movies, it takes what it can — stealing account information from the unfortunate Android users who fall for it. The Netflix Trojan, however, is capable only of pilfering the Netflix user’s log-in and password information, not credit card information, so industry observers say it appears the phony app may have simply been a test run for some other future scam. Norton anti-virus software maker Symantec says that they have long warned that an explosion of mobile malware is just around the corner. Beginning in earnest this year, says Symantec in one of its blogs on the topic, they have indeed observed a marked increase in threats targeting mobile devices,but they are unsure if such an expected explosion has in fact yet occurred. 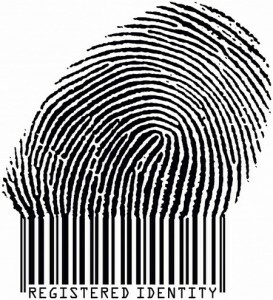 Cyber-criminals may still be in the exploratory phase of figuring out how to exploit the world’s many mobile devices. In either case, as always, be wary. DataWind's supercheap 'Aakash' Tablet computers during its launch in New Delhi, India. India is a technology and information technology leader. But despite a 15-fold rise in the number of Internet users over the last decade, access to the web is limited to a fraction of the Indian population, and is the lowest among emerging markets. Now, a cheaper solution for would-be tablet owners. It’s the launch of what is being called “the world’s cheapest tablet computer,” one that could help tens of thousands of low-income Indian students and others connect to cyberspace. Only three percent of Indians own a computer, but the new $45 device, with its a seven-inch color touchscreen, Wi-Fi connectivity, and two USB ports provides at least some basic hardware. It’s called “Aakash,” Hindi for “sky,” a product of the Indian government’s putting out an offer for it to be developed. The tablet and other techno-gadgets are reviewed on the Indian website BGR, and we invite you to check out Anjana Pasricha’s report on our technology page. As Apple’s new iPhone 4S hits the market to mixed reviews, it’s obvious smartphones are here to stay. Of course they are much more than phones, and the iPhone’s high definition video (and iPod) will surely eat into your hard drive space. 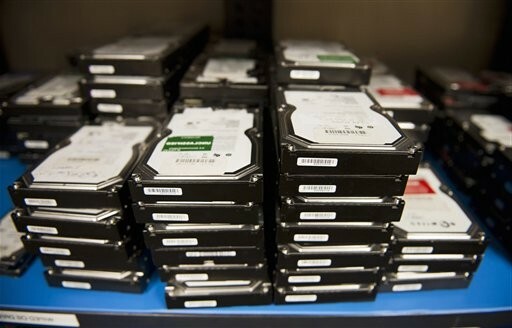 But even if you are in the habit of backing up your iPhone or other device’s data on a CD-ROM or hard drive, the files should be considered only temporary, according to William LeFurgy, Digital Initiatives Project Manager at the U.S. Library of Congress. 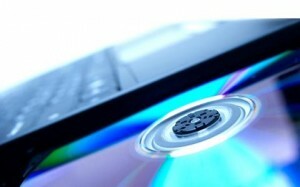 He says digitally stored material may last for as few as five years. By some estimates, the world now produces more than 30 million times more information per year than the information contained in all of the books ever published. And digital storage can put it all at risk. The Library of Congress in Washington regularly moves previously recorded digital material onto new media, continually “re-dubbing” it. The library calls it “active management.” LeFurgy suggests consumers do the same at home. And while you’re backing up your previously backed-up data from your smartphone, be careful about that allegedly great new application you might be thinking of installing. Read our full article for more. Jobs was certainly an inventor – 317 U.S. patents hold his name. But his larger gift was in seeing how the inventions of others could become genuinely useful in people’s lives. For example, Jobs didn’t invent the computer mouse, but he immediately understood how to make it smaller, better and natural to use. The Graphic User Interface – those ‘drop-and-drag’ icons we manipulate on our computer screens? Xerox PARC researchers developed it – but Jobs made it the backbone of Apple products, and an everyday part of our lives. Smart phones? Portable music players? Wireless computing? Jobs true inventiveness wasn’t in being the first to create these things, but in knowing how to integrate them into people’s work and homes seamlessly…all the while, never losing the cool quotient. There is no doubt that today’s Apple Corporation is an almost singular expression of Steve Jobs. Always charismatic, he led the company twice: first, at its beginning when the “Apple” and “Apple II” computers were revolutionizing home computing, and later when its many “i-Life” products changed the world again. And while there are plenty of successful CEOs who can mould a unique corporate culture (IBM’s Thomas Watson, NBC’s David Sarnoff, Ford Motor Company’s Henry Ford), few if any had as big a fan base. Across the Internet, fans of Apple products and its mercurial CEO have been sharing their memories, and their loss. 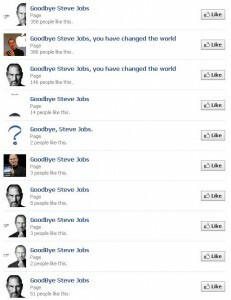 On Facebook there are at least a dozen “Goodbye Steve Jobs” pages, and likely more coming each hour. 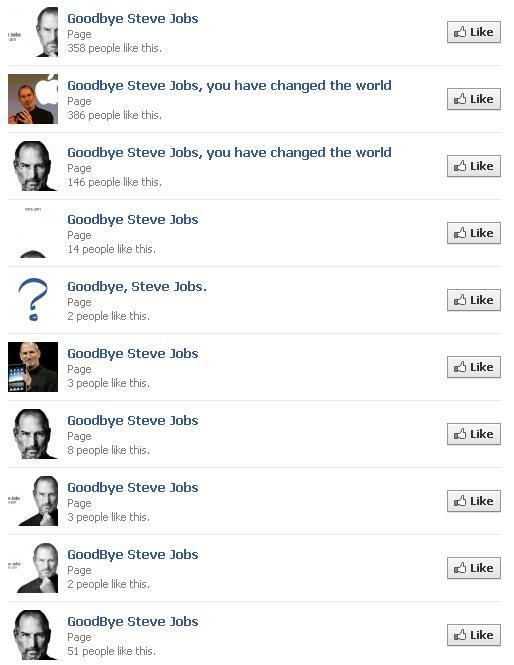 People have begun leaving heartfelt goodbye’s to Jobs on YouTube. On Twitter, the #Jobs’s” tag counts literally millions of tweets (just a few of them collected here by VOA’s Jessica Stahl on Storify) from people offering condolences, remembering their first Apple products, or musing on what happens now for one of the wealthiest and most successful corporations in our time. Of course, that question – what’s next for Apple? – is one that’s occupying a lot of industry analysts this morning. The recent introduction of their latest product – the iPhone 4s – did not go as smoothly as previous releases, and has been greeted with mixed reviews, including some yawns even from the Apple faithful. But that discussion is for another day. Today, for those who admired Job’s personal journey, seek to emulate his audacious aesthetic, or who just like Apple’s latest cool device, we remember. 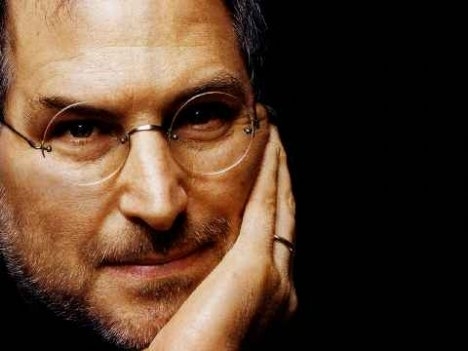 Steve Jobs died Wednesday from a rare form of pancreatic cancer. He was 56 years old. Can A Computer Do Your Job – And Does It Want To? 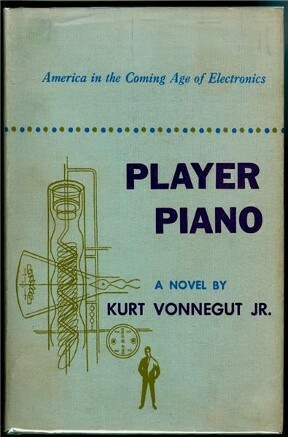 The experience inspired Vonnegut’s first published novel, “Player Piano” – a bleak story set in a future where machines have replaced the working class, leaving them adrift and lost. 63 years later, while punch cards are as common as buggy whips, machines run by little boxes are in factories around the world. These days, industrial robots are increasingly more nimble, accurate and reliable than even the most highly trained workers. And the computers that control them – those little boxes – are moving beyond simple rote tasks and starting to demonstrate an ability to solve problems, thinking almost as a human might. News flash: they can…and increasingly, they are. “I was at work that morning, when the big trucks came, with the big machines inside. Computers. You can see where that’s headed. Which may explain, in part, why it’s so difficult for many to think about where technology is taking us. Journalist Frank Tobe documents just that in his brilliant “Robot Report” – a daily collection of stories that track what robots are doing, and where they’re doing it. Last week, Tobe took a deep look at the announcement that Asian tech giant Foxconn plans to deploy one million robots in its plants in just the next three years. Scary for some, but cooler minds return to the question: can computer brains and their robotic bodies do what humans do? Everything humans do? Sure, IBM’s Artificial Intelligence named “Watson” can help a doctor diagnose an illness, but can it comfort a troubled patient? Do robots smile and help people find what they’re looking for and say ‘Please‘ and ‘Thank you‘? Can a machine write news, or poetry, or make art? Anyone surprised that “he” is a robot may now leave the room. In his series, Manjoo explores whether artificially intelligent machines (AIs) can do work like his father does (a pharmacist) or his wife (a pathologist). Not surprisingly, it turns out there are still many things a computer cannot do. For example, their huge databases mean they can diagnose an obscure disease a country doctor might miss. But they can’t deliver that diagnosis with any empathy. Computers aren’t funny. Robots don’t gossip at the water cooler. It’s these qualities, which AI innovator Ray Kurzweil calls “the subtleties and suppleness of human emotions and intelligence,” that make us special…at least for now. Indeed, computers aren’t yet be up to the task of cracking open a scandal like Watergate, or conducting a daring interview, or writing that dazzling feature that people talk about for years. But when it comes to the nuts and bolts of news – basic news like what, who, when, where and how – they’re surprisingly (or disturbingly) good. Now consider that MotownBall is run entirely by computers. At no point in the editorial chain – from story selection to headlines and text to web layout – does a living, breathing journalist contribute. Its “journalists” are entirely digital. Granted, the computers and their software were set up by real people; in this case, a company called Automated Insights, which runs one of these robo-web sites for every MLB baseball team. Automated Insights engineers create the AIs – in their words, to “…transform raw data into compelling narrative content…” – but once they’re flipped on, the computers completely take over. And they seem to deliver. Sports journalism may be stat-heavy (a computer natural), but it also has a long tradition of zesty writing, which MotownBall has in abundance. You could be forgiven for thinking someone with a soft spot for the Tigers wrote its stories. So if computers can write (MotownBall) and edit (see Google News), can one take my job today? Not yet…thankfully. Good reporting isn’t just compiling facts and deploying pungent verbs. It’s talking to people – hearing what they’re saying and not saying in the stories they tell. It’s using a bit of intuition to smell out a lie, or trying something unconventional to get at a truth. There’s still a lot of human in a job where you try to understand other humans. Which, in the end, may be the last genuine area where humans hold the edge over robots and AIs. Despite any number of efforts, there still isn’t a computer that exists that can write poetry that’s worthwhile. Or conduct therapy with someone experiencing clinical depression. Or make a movie that anyone would actually pay to see…although sites like XtraNormal or Animoto demonstrate an unnerving skill in assembling punchy music videos with minimal input from us. Robots don’t have emotions. They never may (although they may learn how to mimic them very well), and without them, they’ll never understand the humans that created them. 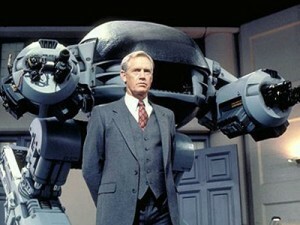 So for the time being, my job is safe…at least, from robots. And despite Farhad Manjoo’s concerns, so, too, are many of the other things humans do with their lives. For all the dystopian worries, it’s unlikely Vonnegut’s vision of a world populated by working robots and unemployable humans will come to pass. But it’s a certainty that as robots and AIs improve, we will have more of them around our workplace, and our homes. 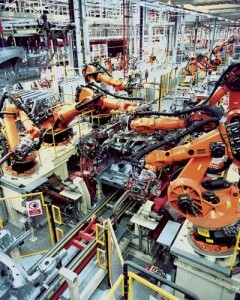 Machines of super-human precision and endurance that will become better thinkers, problem solvers, and help-mates. We will have to adapt to them, even as they learn how to interact with us. Let’s all hope it just stays at cooperation. There aren’t many things one can rely on these days. One of the few is finding something thoughtful, or provocative, or just plain interesting in Foreign Policy magazine. Now, before you discount this as little more than a plug from one journalist to another, consider for example that in just the last week or so, FP asked whether supercomputers will ever be able to predict revolutions (yes, but not yet), assembled a slide show of Russian Prime Minister Vladimir Putin doing…well, just about everything (he drives race cars! and shoots bears! ), and delivered a sharp-elbowed look at Abkhazia’s pursuit of independent statehood. He goes on to describe Twitter less as a social network and more a reporter’s medium – similar to the old ‘wire’ that used to connect newspapers and bureaus around the world. “Twitter isn’t the maker of political revolutions, but the vanguard of a media one,” he writes. Once again, the morning headlines are bringing new – if slightly ominous – stories of increased hack attacks. In today’s case, two different stories: the first, a growing series of Internet hacks designed to fool people about the websites they’re actually visiting, and second, a troubling GPS hack that could affect military relations on the Korean peninsula. Pretty sober stuff. But it’s not all gloom. We also stumbled on something we can only describe as a set of virtual crayons to play with online. First to the attacks. For several months we’ve been tracking the activities of an alleged Iranian hacker seeking retribution for the Stuxnet attack, among other perceived slights against the regime in Tehran. In March, using machines tracked to Iran, a hacker infiltrated Comodo – a U.S.-based firm that issues those all-important security certificates that supposedly let browsers know if a website is ‘secure’ or not. That little padlock icon you see in your URL address window? That’s a sign that the website you’re visiting really is who they say they are. Except when they aren’t. 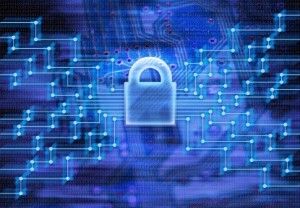 Using the name ‘Comodohacker,’ the self-identified (but yet unconfirmed) Iranian citizen issued a series of phony SSL certificates for sites such as Google, Skype and Yahoo – in effect tricking anyone who received them into thinking that they were on those “https secure” websites, when in fact they might have been anywhere, sharing personal information with unknown hosts. For its part, Comodo quickly acknowledged the attack and fixed the problem, noting nine phony certificates had been issued in a hack they traced to Iran. More recently, in July, ‘Comodohacker’ took aim at the Dutch security certificate firm DigiNotar and launched a similar attack, allegedly as retribution for the anti-Muslim rhetoric of Dutch politician Geert Wilders. But the size of this hack has only now come to light – and it was significant. Internet forensic analysts now say that upward of 500 certificates were stolen and falsified – including those of Facebook, Twitter, and Microsoft, as well as security agencies MI6, the CIA and the Mossad. ‘Comodohacker’ is still at large, and just this week, Ars Technica‘s Peter Bright posted this piece claiming that he, too, hacked DigiNotar’s security certificate system. All of this inflates already existing concerns that the Internet is growing less, rather than more secure, and that industry has yet to take these threats seriously. From cyber-space to outer space. There’s a new report that North Korea was able to force a U.S. reconnaissance plane from the sky recently by jamming its Global Positioning System, otherwise known as GPS. The South Korean daily Chosun-Ilbo reports the U.S. military RC-7B plane took off from South Korea March 4th, but was forced to make an emergency landing just 45 minutes later after the plane’s GPS system was disrupted. The newspaper quotes military sources as saying the jamming signals were tracked to the North Korean cities of Kaesong and Haeju. Much of modern aviation depends on GPS signals of orbiting satellites to navigate; without it, airplanes, drones, missiles and even other satellites can be rendered unusable. It’s been known for some time that Pyongyang has been experimenting with devices that can jam GPS signals from as much as 50 kilometers away. But if the Chosun report is accurate, that range may have now greatly increased. In response, the Pentagon is denying that any plane was “forced” from the air. In a statement released Saturday (September 10), a U.S. military source speaking on anonymity was quoted by Reuters as saying “We have no indication that any aircraft at the time of, or in the vicinity of, this alleged incident was forced to land on an emergency basis.” A careful read of that statement clearly doesn’t deny jamming took place, or that a plane opted to return to base, mind you. It’s worth pointing out that, technically, jamming the GPS of another nation’s aircraft is considered an act of war. Give an infant a clean white wall and a bright red crayon, and you can guess the result. Crayon + wall = fun! But it isn’t just infants who like scribbling. 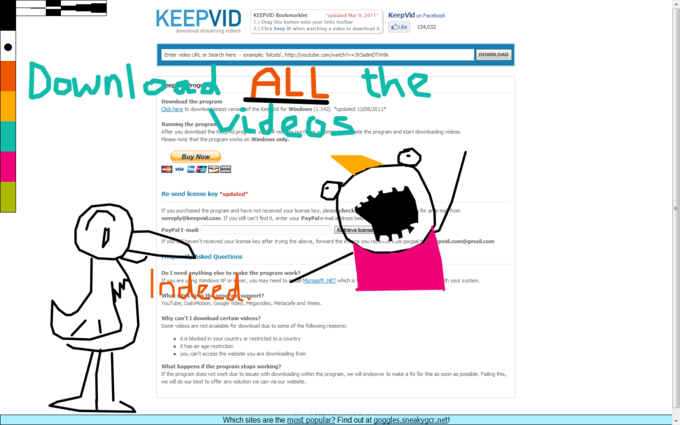 So for all those frustrated adults just wanting to share their doodles with the public, there’s now a solution. “Goggles” – not to be confused with “Google Goggles” – is an open-source applet that anyone can add to their browser which will allow them to both read the doodles that others have left behind on public websites as well as add their own. Created by Synapse Software, “Goggles” is an essentially harmless – and admittedly sophomoric – bit of code that allows people to scribble on the Internet – all without permanently defacing anything. The ‘doodles’ are only visible to those who have installed the Goggle applet on their browser, and can be erased quickly. And because everyone has the ability to see and edit what anyone else writes, it’s not exactly a secure means for passing secret messages. It is, however, a mild distraction that lets the kid with the crayon come out and play a bit. And now that I have Goggles, I’ll be keeping an eye on the VOA homepage. I mistakenly identified Aatif Khan as being a part of the group “Anonymous India.” He wrote my colleague Kate Woodsome to say that while he follows the activities of the group, “I am not a part of Anonymous India, And Moreover I do not support Anna Hazare.” The error was entirely mine, based on a misunderstanding – our apologies. It’s long been a curiosity: why, among all the technologically advanced nations in the world, is there so little computer hacking in India? Now don’t get us wrong. Where-ever there’s a computer, there’s probably a hacker nearby. Internet-savvy cities like Mumbai and Delhi have untold thousands of ‘crackers’ – as hackers are sometimes referred to there. And of all the sources of fraudulent economic come-ons, India probably trails only Nigeria for the persistence and brashness of its spammers. It seems that Khan and others wanted to do something in support of Anna Hazare’s campaign to clean up Indian politics from its current culture of bribes and corruption. 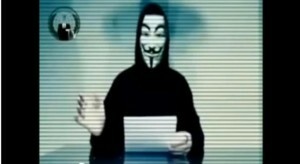 Thus ‘Anonymous India’. All this leaves me with more questions. First: just who provides the written permission? Certainly not the government. Second, why is this group calling itself ‘Anonymous India’ if it doesn’t want any connection to Anonymous – and why are its members being so non-anonymous in their comments? And third: has anyone ever encountered this sort of ethical hack attack before? 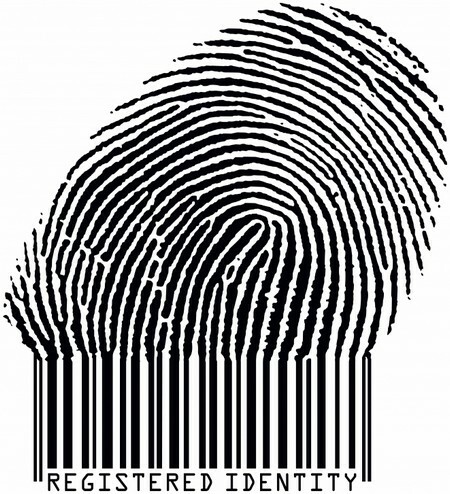 Perhaps it’s no coincidence that ethical hacking – a use of illegal but non-harmful tactics in support of a larger moral issue – appears to have originated in the nation that was born from the non-violent tactics of civil disobedience.